Misss Lydia Bawa(4th left) and Gina Blay with industry participants at the seminar held at Coconut Grove Hotel. The National Insurance Commission (NIC), as part of measures to facilitate the growth and visibility of the insurance industry, has improved the transparency and the promptness attached to the payment of claims by insurance companies. The new directive, according to NIC, compels insurance companies to pay claims due to policyholders within a period of four weeks when an incident that warrants a claim occurs. Previously, several individuals had complained that payment of claims by insurance companies took longer time than usual or were sometimes not paid at all. The National Insurance Commission is the regulatory body responsible for setting standards in the insurance industry as well as providing a bureau for the resolution of complaints and arbitrates insurance claims when disputes arise. “The commonest problem you have in the industry relates to motor claims, accidents and all those ones. We have now issued a guideline that is very straightforward. We are asking insurance companies that any claim reported to them with all the supporting documents; everything should be paid within four weeks. 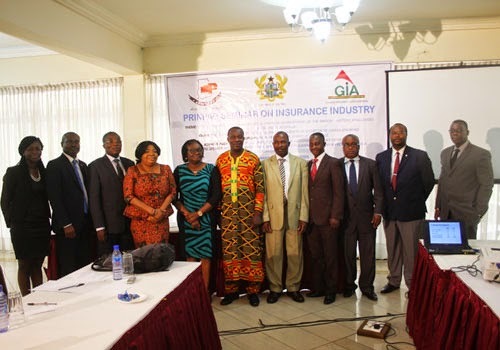 Any claim that lasts beyond four weeks means that the insurance company has committed an offence,” Mr Davor stated at a seminar organized by the Private Newspaper Publishers Association of Ghana (PRINPAG) to educate journalists on the insurance industry in Ghana last week Thursday. Mr Davor explained that the moment someone contacts an insurance company for claims to be paid, that company has two days to acknowledge receipt of that claim after which the company should be able to inform the individual whether or not that claim is admissible within five days. “The commission also gives them another five days to agree on settlement because compensation level may differ, depending on the type of injury and other things. In all, after submitting all relevant documents, you have 12 days gone. After the 12 days where you agree and discharge vouchers have been given to you to sign and all those ones, the insurance company has got a maximum of seven days to make sure that you are paid. When you add that to the 12 days it becomes 17 days; that is why we are saying that within 4 weeks the insurance company should be able to settle the claims for the company,” he explained. Between 2012 and 2013, a total of GH¢659 million was paid by insurance companies to individuals – insured as claims. In 2012, GHC 272 million was paid by way of claims and in 2013, GH¢387 million was paid as well. The low penetration, she noted, had also been caused by low insurance literacy which was also a challenge to the commission. Miss Bawa admitted that despite the study growth of the insurance industry, it is currently nowhere near its potential, which called for a lot of work to be done. “However, a solid foundation is being laid especially by the NIC to facilitate the growth and visibility of the industry. It however, needs the cooperation of all stakeholders, especially in the area of consumer education to establish an efficient, fair, safe and stable insurance market for the protection of the interest of policyholders. The industry led by the NIC is working hard to build a strong reputation in the financial services sector ….,” she said.